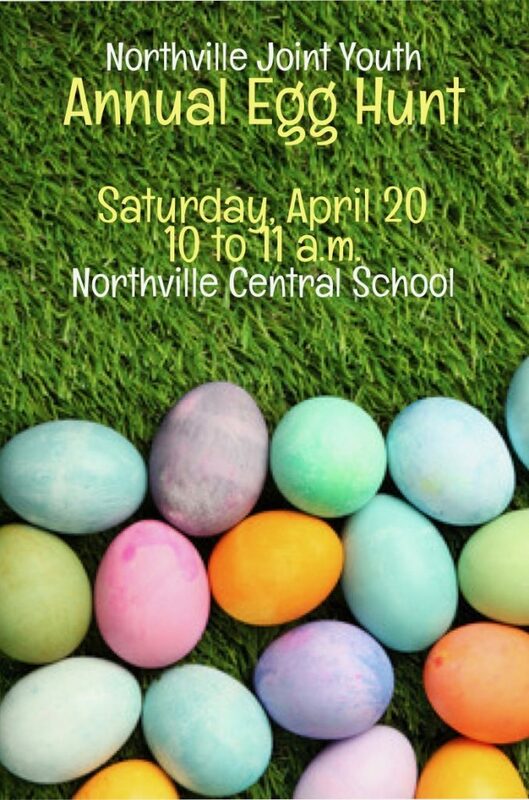 All children up to 5th grade, may go to Northville Central School with their own basket at 10 a.m. for an Easter Egg Hunt! The Easter Bunny will be there so bring your own camera to take photos! We will hold timed starts so everyone will be safe and happy!